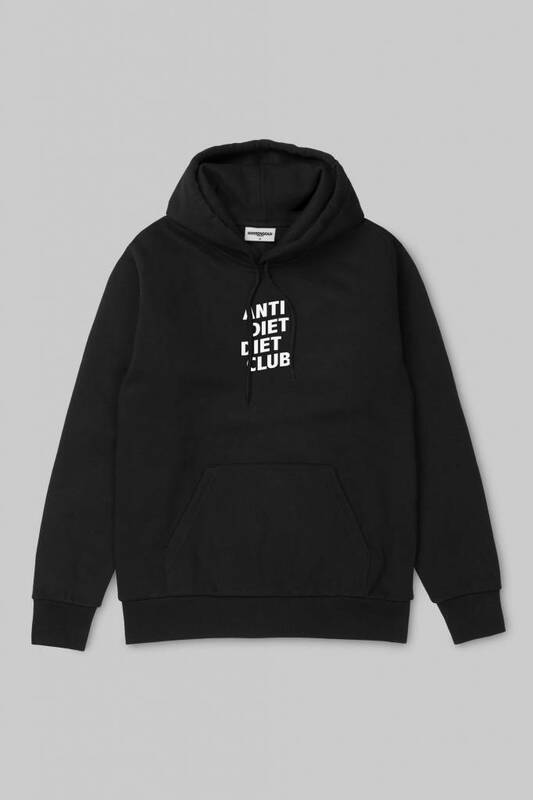 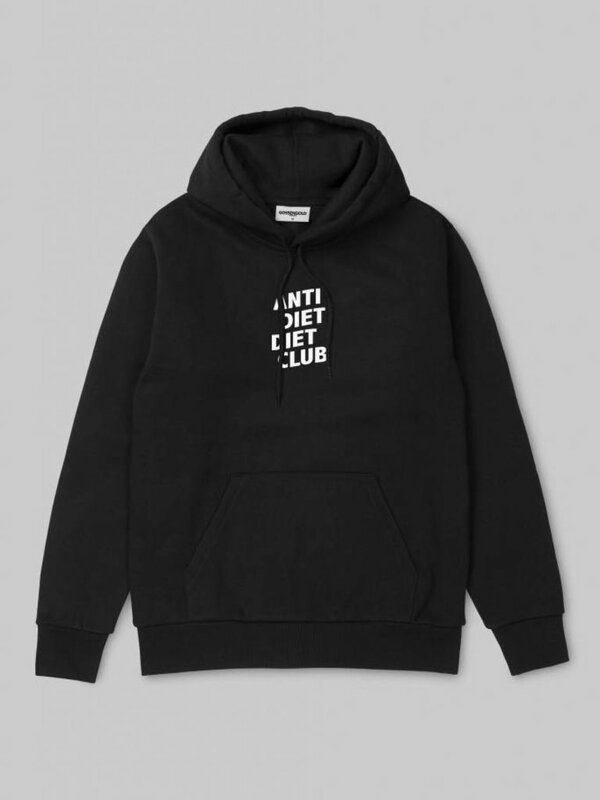 Fashionable cut, black hooded pullover with white Anti Diet Diet Club print on the chest. 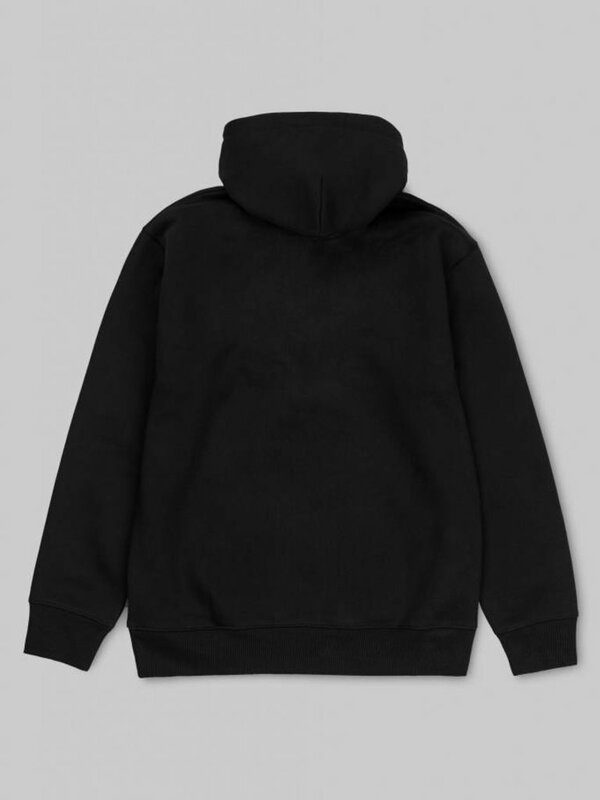 A subtle Gossengold logo is sewn on the cuffs. 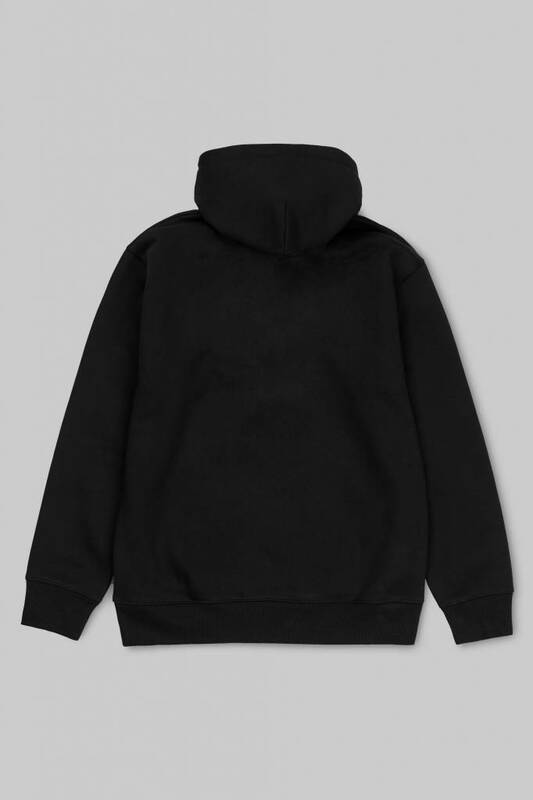 The hoodie fits tightly around the body thanks to slim sleeves and a tight fit and can be combined easily with jeans, bomber or leather jackets.